When you sit down to a meal in Italy, you may start with an antipasto like some sliced meat and cheese, or some seasoned olives and a glass of wine. But the primo - the course that simply goes by the Italian word for “first” - is where things get going. Pasta may be the stereotypical (and most popular) primo, but in winter, Italians turn to soup. Warm, hearty, and filling, soups help combat the malaise of short winter days, perking you up after a long, cold day. Most associated with Tuscany, ribollita (Italian for reboiled) is an old peasant dish based on minestra or minestrone, vegetable soup. 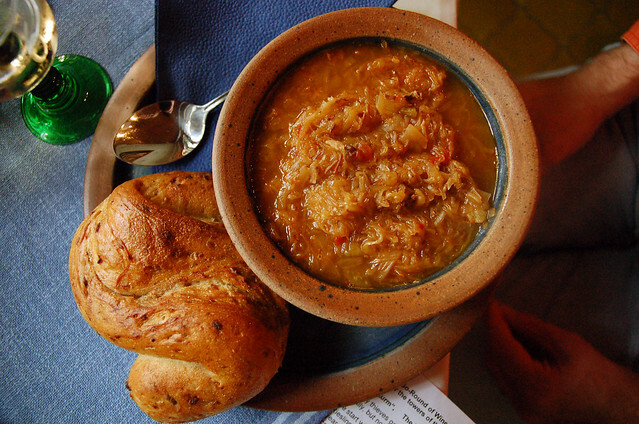 In winter, Italian wives used to cook up a big pot of vegetable soup and serve it three different ways over the days, first as vegetable soup, then soup over toasted bread, and finally a sort of vegetable porridge as the bread dissolved into the soup, thickening into the now characteristic ribollita. Found throughout Italy’s northern regions, jota features ingredients that may seem out of place in a traditional Italian dish: sauerkraut and poppy seeds. A tasty and surprising relic of the Austro-Hungarian empire’s long hold on northern Italy, jota is a staple in Trieste, but you’ll find various versions throughout Fruili and across the border in Slovenia. Wherever you find it, jota always features a hearty base of potatoes, beans, and smoked pork. Fresh Italian tortellini are a heady concoction of diverse meats, (beef, veal, and/or pork) cuts, and cures (in Bologna, they add prosciutto and mortadella). Every mama has her recipe. And it’s typically a highly guarded secret. While tortellini in brodo is a staple dish throughout Emilia-Romagna, in Bologna, the top tortellini shops charge up to $20 per pound. 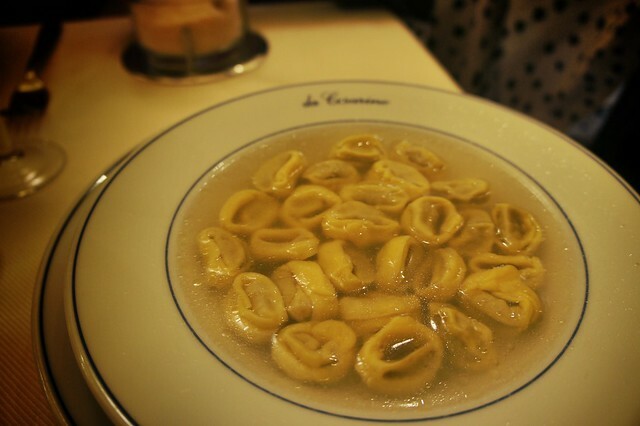 A simple but soul-warming broth with a healthy sprinkling of Parmesan cheese is the best complement for fresh tortellini. It's the soup to serve on Christmas. 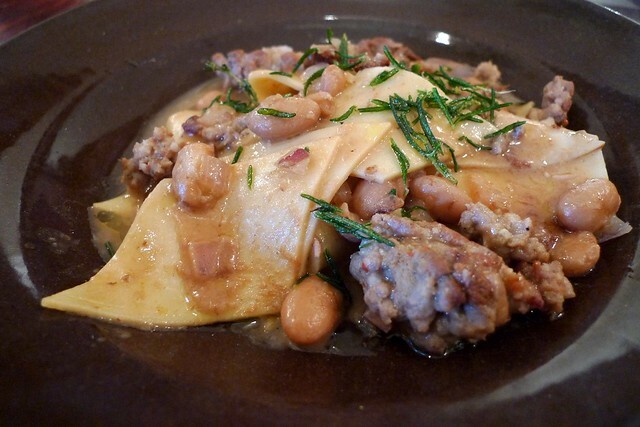 Pasta e fagioli transcends the two main ingredients from which it draws its name – pasta and beans – into the pinnacle of Italian vegetarian (a.k.a. peasant) cuisine. In the U.S., it’s commonly known by its Anglo-Neapolitan name pasta fazool, as popularized by Dean Martin in his hit song “That’s Amore.” But like its many names, you’ll find endless variations. Cannellini beans here, borlotti (or cranberry) beans there. Curvaceous macaroni or miniscule ditalini. (Though in our house, we like to use leftover scraps from making fresh pasta). N.B. : As many people today add pancetta, be sure to clarify the ingredients if you’re vegetarian. Lentils have been a human staple for over 10,000 years, finding their way into iconic soups around the world from spicy Indian dal to the buttery, oregano-finished Turkish mercimek corbasi. 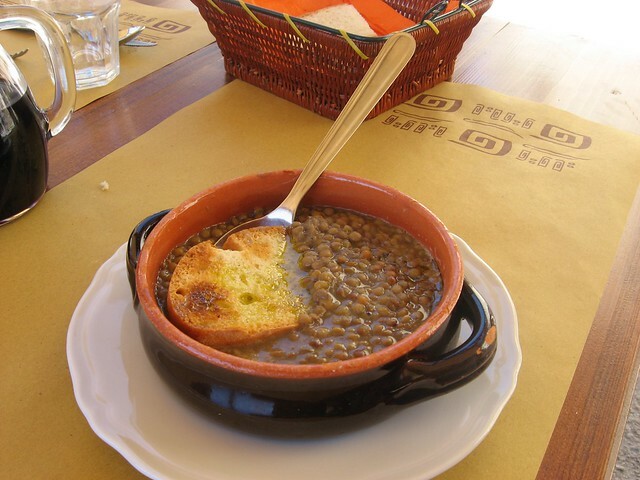 The Italian version remains as simple as its name, zuppa di lenticchie, but the taste depends on the lentils you use. Umbrian lentils in particular are famous, especially those from Castelluccio di Norcia. High in protein and lightly seasoned with a soffrito base, bay leaves, and rosemary, Italian lentil soup is the ultimate comfort food – especially when paired with a generous drizzle of olive oil and a side of toasted bread. When a bottle arrives at your dinner table filled with a deep green, cloudy, viscous liquid with a piquant, zesty, grassy, spritzy, peppery aroma . . .
That’s not your everyday olive oil. It’s fresh-pressed olive oil. And this is its season. You can use olive oil right after it’s pressed (typically October-December). But the flavor reaches its peak two or three months after pressing, making January the olive oil season. Fresh-pressed vs. Extra Virgin: What’s the Difference? 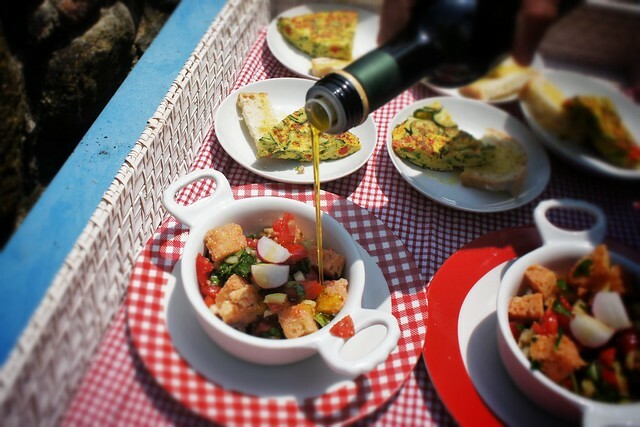 Olive oil is at its tastiest and most healthy when it’s young. Both the flavor and nutrients begin to fade after six months and fall flat two years after pressing. Fresh-pressed olive oil or olio novello is oil less than six months old – the sweet spot. Typically unfiltered, it’s extremely high in polyphenols, a group of antioxidants that are believed to protect cells and prevent diseases such as cancer. Any type of olive or pressing can be olio novello. It’s not a qualitative designation like extra-virgin, which refers to low acidity oil produced purely through mechanical extraction like stone oil mills (as opposed to chemical extraction, which produces refined oil). 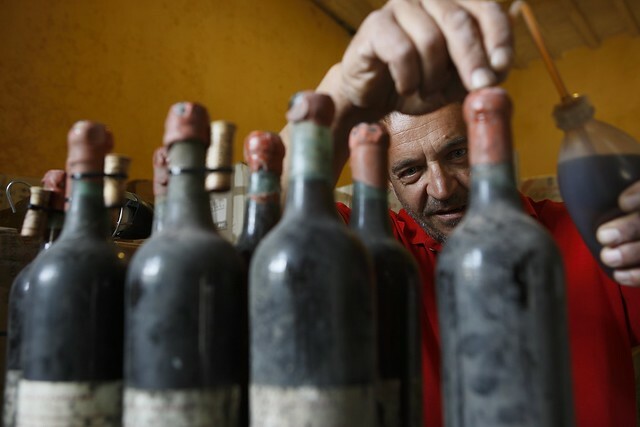 While producers will label their new oil olio novello, the only way to tell that it’s still fresh when you get your hands on it is to check the harvest date printed on the bottom. All Italian oils should have a harvest or best by date listed. Even though all fresh-pressed oils share certain characteristics that differentiate them from older oils, there’s a huge variation in flavor. Some are bold and assertive, others nuanced and delicate. Fresh-pressed olive oil is not for cooking. Heat breaks down its polyphenols, causing it to lose not only flavor, but also health benefits. Ambient heat and light can have the same effects, so only buy olive oil that is bottled in dark glass bottles and kept in a cool place away from direct sunlight. When you bring your oil home, also keep it somewhere dark and cool, though not necessarily as cold as the refrigerator. By all means, don’t keep it in a clear glass bottle by your stove or on your table any longer than necessary for cooking and serving. A drizzle on top of soup, a hearty dose over carpaccio, salad, or pasta, or the perfect bruschetta flavoring, fresh-pressed olive oil should be enjoyed as a topping or finishing agent. 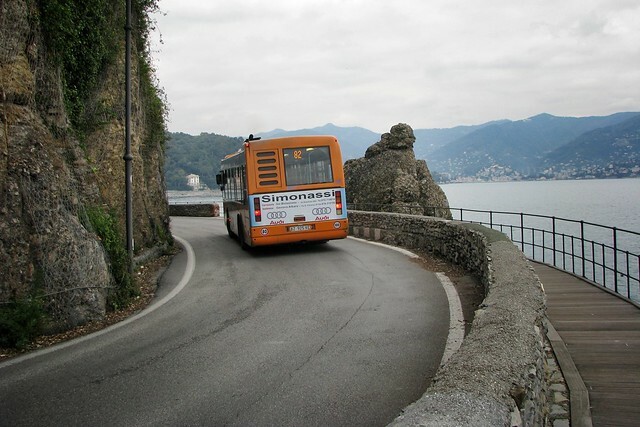 Visitors often inquire about driving themselves in Italy. 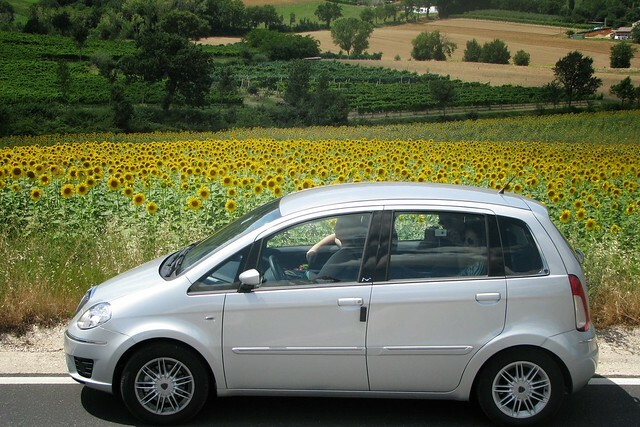 While this may be an option for some travelers, driving in Italy isn't for everyone, there are some important things (beyond the initial shock that you’ll pay three times as much for an automatic and gas costs around $9 a gallon) to keep in mind if you’re contemplating driving in Italy. The Italian Auto Club has even recently launched a program to keep foreigners driving in Italy safe, as 13.5% of foreigners who drive in Italy (compared to only 6.4% of Italian drivers) are involved in accidents each year. 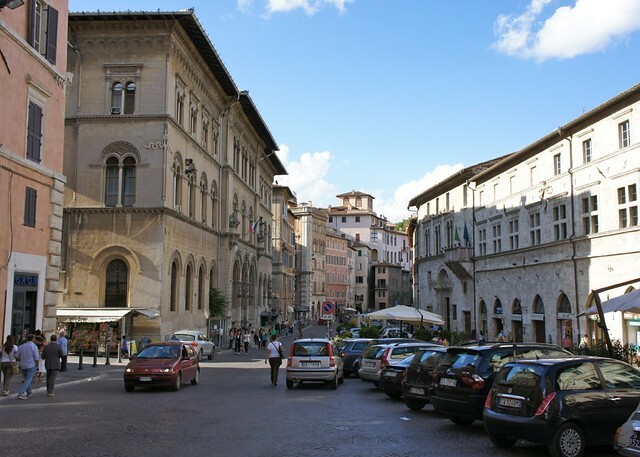 A private guide with whom we work in Umbria has a very simple but accurate way of describing successful driving in Italy – “drive where there is space.” If there is space on the road, it is up to you or one of your fellow competitive drivers to fill it. On the Italian roadway your one and only job is to not hit what is in front of you. If you accidentally drive in a pedestrian-only zone (Florence is full of them), you’ll get a fine for every time you pass a traffic camera. But you can also be pulled over at a roadblock for no apparent reason by police looking for insurance and registration violations. In a rental car, these shouldn't be a problem, but having an International Driving Permit (a translated version of your license available at any AAA) will help things go more smoothly. (3) Country roads aren’t quite roads . . .
Italy is full of “white roads,” so named for the light-colored gravel that takes the place of pavement. Think of them more like long driveways. Though they are often so poorly labeled, you’ll be lucky to find them in the first place. FYI: most villas, country hotels and other places worth visiting in the countryside are located at the end of such roads. In line with European standards, it is illegal to drive with a blood alcohol level of more than 0.05. For many people that is just one glass of wine. If you are going on a wine tasting excursion, we strongly encourage you to use a driver. Some parking spots demand that you find the nearest tabaccheria to get your parking ticket, while others require you to place a “parking disk” (like a shop’s “we’ll be back soon” sign) to show when you arrived. We book cars for our clients through AutoEurope, the best way to compare rates and get the best price on European car rentals. But beyond helping you book a car and providing you with a GPS navigator, we can usually have your car dropped off at and picked up from your countryside villa or hotel so there are no worries about getting lost on the way or dealing with the car rental counter after your overnight flight. We’ll also hook you up with a comprehensive guide to everything you need to know about driving in Italy, from an easy trick to paying less for gas and a guide to navigating Italy’s toll system. 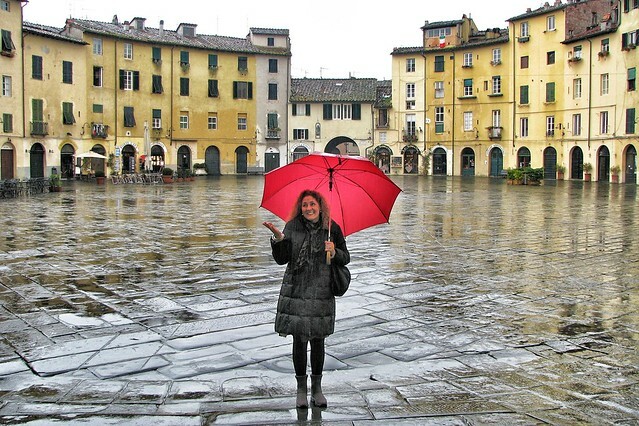 Trying to plan a trip to Italy and just don’t know where to start? Everyone has their favorite cities, restaurants, hotels and sights to recommend (contact us and we'll tell you ours), but here are 10 Italian holiday experiences around the country that you just can’t miss. In a country full of perfect 10s, the following are in no particular order. At the heart of modern-day Rome, the ruins of the ancient Roman capital are remarkably preserved despite the 4 million visitors who walk the 2600-year-old paths each year. But Rome is not the only place to find traces of the ancient civilization (Pompeii is a perfect day trip! ), and Rome today is far more than a city built on ancient relics. Walking the streets, you’re greeted with the most majestic architecture and art from every period of Italian history and the vibrancy of a modern capital. Florence may be small compared to bustling Rome, but the capital of Renaissance culture packs in so many sights that you can spend eight hours wandering four blocks and still not see everything. Though Florence is home to the grand art collections of the Uffizi and the Accademia (home to Michelangelo's David), other cities in Tuscany and further afield in Umbria (Perugia) and Le Marche (Urbino) hold equally lauded but less visited collections. Often imitated but never copied, Venice remains - despite the hype, the masses of tourists, and the commercialization - a magically unique place. Where else in the world . . . is a major modern city completely devoid of motorized vehicles? . . . are "roads" sometimes only wide enough for one person? . . . was home to Casanova? Like few other cities in Italy, walking through Venice transports you to another time. While we often say that Italy has it all, the Mediterranean's largest island has it all in one place. Ancient ruins, Byzantine cathedrals, and Islamic architecture dot the landscape, while the flavors of all of Sicily's past rulers mix with the island's rich agricultural produce to create a singular cuisine. Throw in a volcano, hundreds of miles of coastline with beaches and diving, and verdant hiking trails, and you've got Sicily. There is something about Italian food that you can never replicate at home - the incredibly fresh, picked-at-the-peak-of-ripeness, seasonal vegetables. 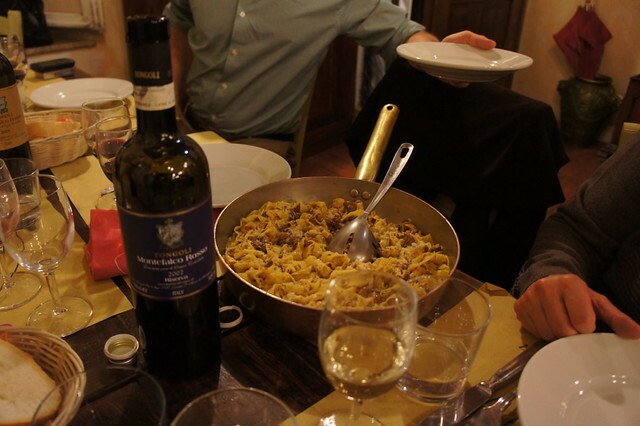 In Italy, the phenomenon called "farm to table" is not a fad, but a basic way of life. And don't forget the wine! (Not that the Italians would let you.) 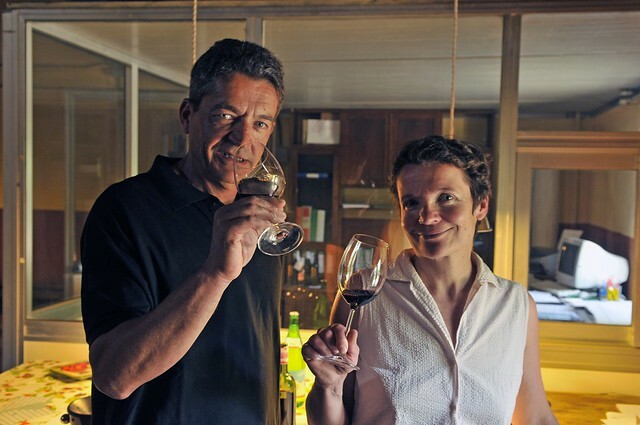 Even low-priced table wines and house wines are high-quality and often organic. 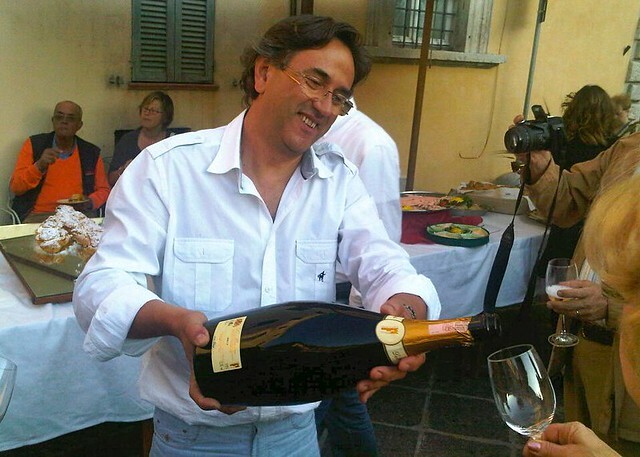 All of the things that we love about Italy are made possible by the Italians themselves. Their passion. Their conviction. Their love of beauty for beauty’s sake. And their fervent desire to point you to the absolute best gelato, pasta, or whatever you are looking for. The Italians are great hosts and are one of the warmest and funniest peoples of the world. Recommendations by and conversations with Italians will take your trip to the next level. #7 Italian Holiday Experience: I Panorama - The Views! Italy’s peninsula (justly often called “the boot”) stretches from the Alps down to the volcanic peaks of Sicily’s Mt. Etna, benefiting from 4722 miles of coastline along the way. From the ski and hiking resorts of the Dolomites like Cortina d’Ampezzo to the rolling hills of Tuscany to the cities built into sheer cliffs along the Tyrrhenian Sea, like the UNESCO World Heritage Cinque Terre and the star-studded Amalfi coast, Italy has a view to soothe anyone’s soul. 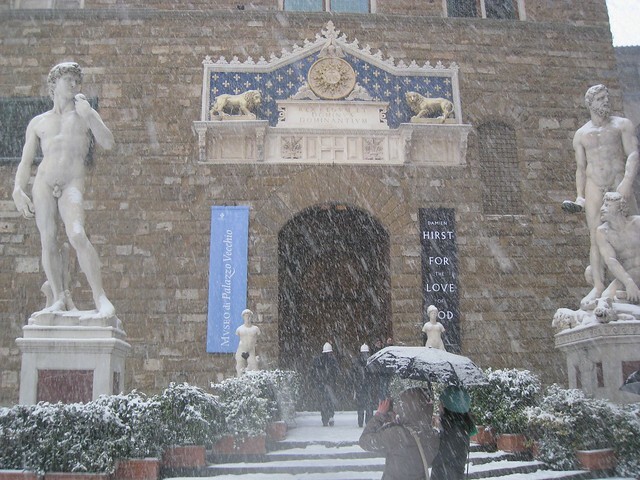 #8 Italian Holiday Experience: Lo Shopping - Art, Clothes, and Ceramics, Oh My! You may come to Italy for the art or the food, but don't forget to leave time to bring your favorite things home with you. For quality, Italy is unparalleled. For clothes, you can score Italy's top fashion brands at deep, deep discounts at outlet malls outside major cities. To decorate your home, pick up reproductions of your favorite museum art pieces and scour ceramics shops for unique regional designs and elegant painted serving dishes. The afternoon nap (il pisolino) and the evening stroll (la passeggiata) form an integral part of the rhythm of Italian life. The morning is for chatting at a coffee bar, getting fresh vegetables, cheese, and pasta at the market for the highlight of the day – lunch! After a rest or a nap, the whole city takes to the streets for an evening stroll to catching up on gossip and grab a gelato. Italy is all about the pace of life. There is a reason that opera, philosophical dramas, and improvised comedy all have their roots in Italy – the Italians know how to put on a show. 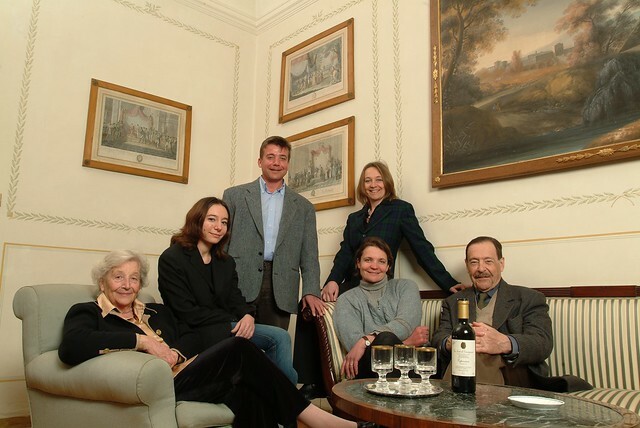 Today, you can still experience opera in ornately decorated opera houses with intermissions long enough for a drink and a chat between every act just as Verdi fans did in the 1800s. In the spring and summer, the country comes alive with world-class concerts and music festivals in every city and usable Roman amphitheater. Why Are There No Deals On Travel To Italy? The global economy has been in the gutter for the last five years. Mediterranean countries like Spain and Greece are haggling with their EU brethren for astonishingly large bailouts. Italy has implemented such strong austerity measures that there seems to be a protest somewhere in the country every day. So why are there no deals on travel to Italy? Former Greek tourist hotspots may have turned into ghost towns, but Italy is still building new hotels further and further from popular city centers like Florence to accommodate all the visitors jostling to stay in the peninsula's graceful historical cities. In fact, as more exotic locations become increasingly inaccessible to the average traveler due to rising flight prices, countries like Italy with frequent flights, many airports, and airline competition to stay flight price inflation see increases in incoming visitors. Italian travel, much like Italian fashion, just never seems to go out of style. So Italian hotels, attractions, and tour operators have no reason to put their wares on sale. Many have even continued to raise their prices right on through the recession. And high-end hotels continue to open at break-neck rates. As a result, not only can travelers not expect to get deals on travel bookings—even and especially at the last minute—but you might not even be able to stay in good hotels or even major cities if you don't book well in advance. How Far in Advance Must You Book Travel to Italy? The short answer? As early as possible. The longer answer? It depends on the destination and time of year you plan to travel. There is no specific window, but as soon as you know who/how many people are going and your dates, get the framework of your trip laid out. Spots in the best (not just quality, but quality for price) hotels fill up fast and there often are not many rooms in great establishments, particularly outside the big cities. Six months ahead is really ideal, and while we can usually find you something closer to your travel dates – even at the last minute – in peak season in major destinations, it will be extremely difficult. But now is the perfect time to get a head start on your summer and fall travel plans. Check out our top ten favorite Italian experiences for some inspiration.